When I started my experience producing Pinot Nero in Castellina in Chianti, I was considered as a crazy man. 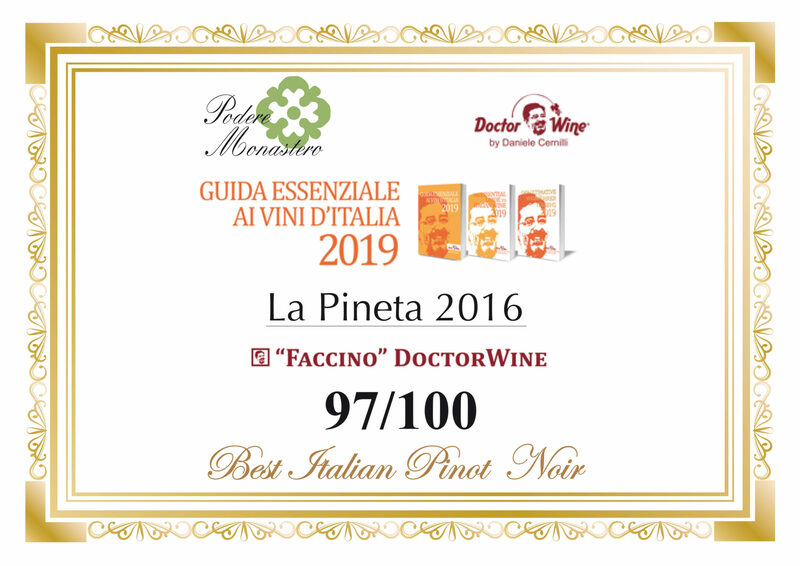 Today, Daniele Cernilli, one of the most important wine critics, awarded La Pineta 2016 with 97/100 and above all as the BEST ITALIAN PINOT NERO, thus giving me an immense joy as well as giving me the incentive to improve myself in this important and exciting challenge. I have always believed in it and will continue to believe it. Thanks to Doctor Wine and Daniele Cernilli.